lemon multimedia » オンガク! オンガク! オンガク! Currently we’ve got 3 games in production for iOS and 1 iOS application as well as a whole host of edu titles running in Flash that should be hitting a web-browser at some point in the next 3 months, I’m also doing audio direction for an educational games company in London and balancing all that out with giving lectures at LSBU in London and building binaural recording rigs, tube microphones, pinhole microphones, synthesizers and effects units for various folks. In between all this I’ve actually found the time to create board layouts for various fun Nintendo NES sound tools (fabulous for sound effect generation and music!) and put the remaining time into actually attempting to finish an album! Filed under Audio, Our Projects. Probably one of the most enjoyable sets of projects I’ve ever worked on – the iPad and iPhone version of ChuChu Rocket are now coming out globally – here’s the trailer! Posted on October 27, 2010. Tagged as live projects; games; audio; dreamcast; iphone; ipad; sega;. 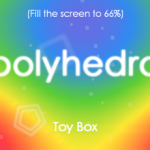 Polyhedra XL is now available for purchase from the Apple iStore for iPad – visit the iStore here to grab your copy! Posted on April 6, 2010. Filed under Audio, Our Games, Our Projects. Tagged as Audio, idev, iPad, iphone, music, Our Games, puzzle game. Polyhedra nominated for another award! Binary Hammer, LLC, a recent Samsung/Handmark Global Venture Funding recipient, in a joint effort with Javira, announced their intent to develop Polyhedra XL for the Apple iPad. 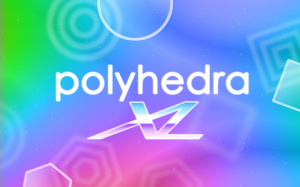 I’m thrilled to be involved again in producing more audio content for the successful Polyhedra series! Posted on February 28, 2010. Tagged as Games, iPad, Polyhedra XL, sound design. The award ceremony is over now; we didn’t win in the end – but what a thrill to be nominated, especially alongside such great titles! Polyhedra up for Danish Game award! Posted on February 26, 2010. Tagged as binary hammer, Danish game award, javira, lemon multimedia, music, Polyhedra, sound design. Andy Lemon has been involved in audio direction, production and provision for games and new media for over 10 years now as well as being heavily involved in consultancy for online communities and information technology direction.